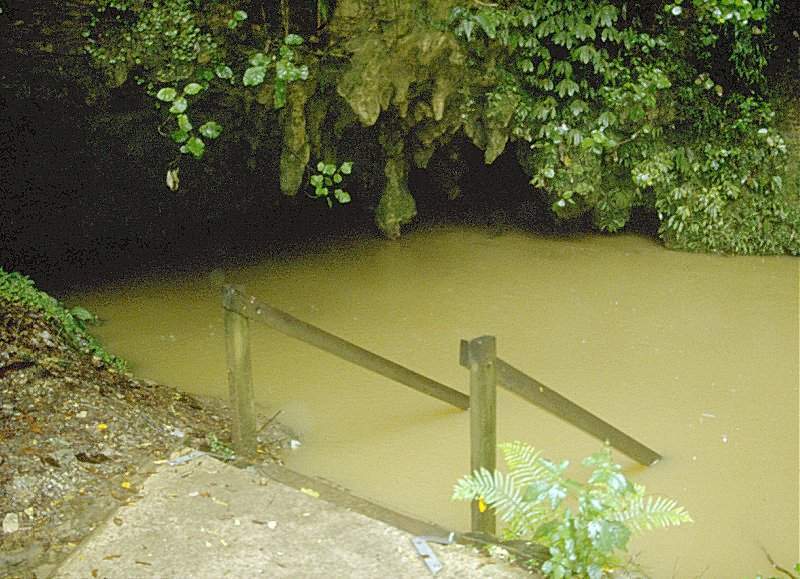 Image: The flooded entrance to Waitomo Glowworm Caves, after heavy rains. Location: In Waitomo Caves village. From Auckland follow State Highway 1 south to Hamilton, then State Highway 3 south to Waitomo. Caves are signposted. 200km south of Auckland, 70km from Hamilton, 16km from Otorohanga. Open: Summer: Labour Weekend (end OCT) to Easter Monday daily 9-17:30. Boxing Day to 29-FEB additional tour at 20. Winter: Tue after Easter to Labour Weekend (end OCT) daily 9-17. Fee: Adults NZD 48, Children (4-14) NZD 21, Children (0-3) free, Family (2+2) NZD 115. Combined with Aranui Cave: Adults NZD 50, Children (4-14) NZD 24, Children (0-3) free, Family (2+2) NZD 130. Glowworm, Aranui and Ruakuri Caves: Adults NZD 93, Children (4-14) NZD 39, Children (0-3) free, Family (2+2) NZD 200. Light: electric and natural (glowworms!). Dimension: L=1,300m, A=80m asl (lower entrance), A=94m asl (upper entrance), V=4,500m³. Bibliography: J. N. Jennings (1971): Karst, Australian National University Press, Canberra (1971). Address: Waitomo Caves, Private Bag 501, Otorohanga, Tel: +64-7-8788227. 1887 first explored by Tane Tinorau, a local Maori chief, and Fred Mace, an English surveyor. 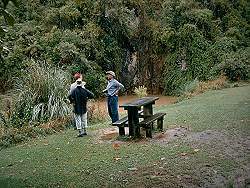 1889 Tane Tinorau opened the cave to tourists. 1906 cave taken over by the government to protect it from vandalism. 1910 Waitomo Caves Hotel was built to accommodate the many visitors. 1989 the land and the cave were returned to the descendants of the original owners. 2005 Visitor Centre destroyed in fire. 2010 new Waitomo Glowworm Caves Visitor Centre opened. 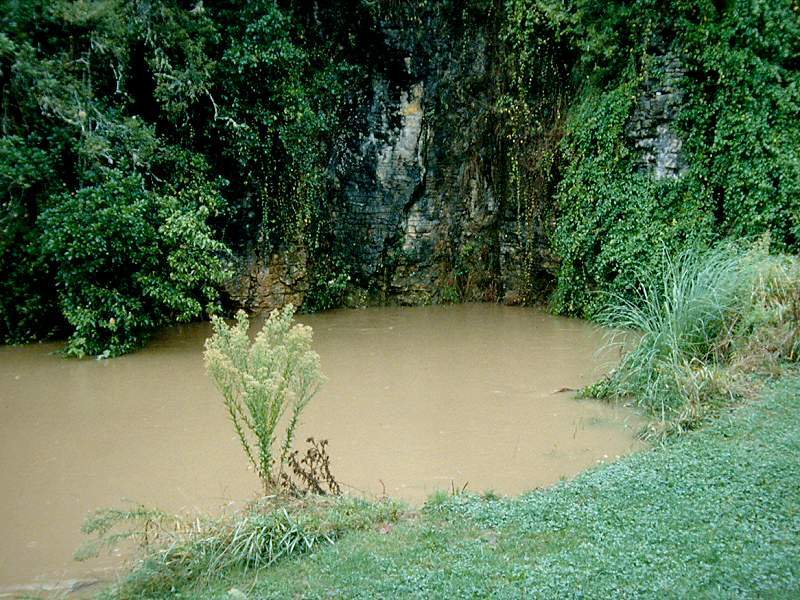 Image: the swallow hole of the Waitomo River. 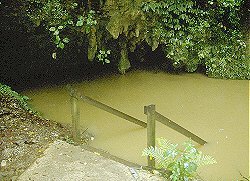 The Waitomo Glowworm Cave system has two levels, the low one is the bed of the Waitomo River, the upper one is dry. There is a connection between both levels, the 16 meters deep shaft called the Tomo. Visitors enter the cave at the top level and walk down narrow passageways to the low level. The room called the Banquet Chamber is the place where early tourists stopped for meal. Then the path leads further down to the low level with the cave river, along numerous interesting formations. Image: a glowworm. 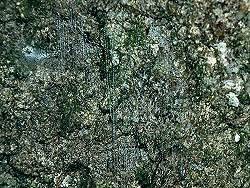 The larva is at the upper rim of the picture, a little left of the middle. 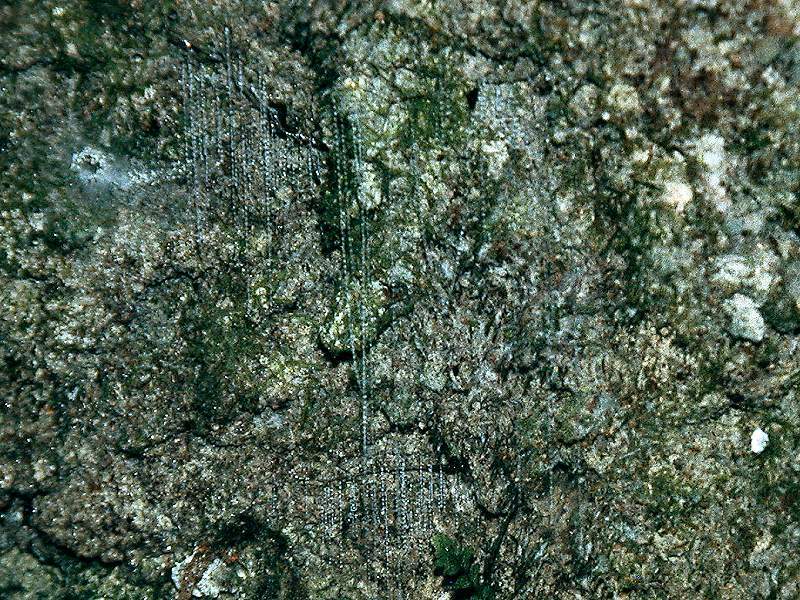 Note the vertical threads with sticky bulbs, similar to the web of a spider. The largest chamber of the cave is the Cathedral, with a demonstration platform and the jetty. The acoustics in this chamber are world-renowned, Kiri Te Kanawa, the famous New Zealand singer, has sung here and was delighted by the purity of the sound. This large chamber is used as a concert hall now and then. But still the visitors are now told to be as quiet as possible, because sound would disturb the glowworms. The trip finishes with a boat ride through the Cathedral, small boats gently slide into the black darkness. The reason is the main sight of this cave, which gave this chamber the name Waitomo Glowworm Grotto. As the eyes adjust to the dark, the walls and roof start to sparkle like a star filled night sky. This tiny lights are produced by glowworm larvae (Arachnocampa luminosa). The larvae build webs along the cave walls, similar to spider webs, and try to attract their victims by the light. After eating and growing the larvae pupate and become two-winged flies, which live only a few days for reproduction. They do not have a digestive system. However, most of them become attracted by one of the lights and end in the web of a next generation larva. The glowworms are found all over New Zealand, also on Tasmania and Australia, but nowhere else on Earth. The cave had its darkest days during the year 1979, when the population of glowworms dropped by 96%, and the famous night sky became dark. This was the first time, the management discovered that it could be necessary to protect the cave in order to protect the business. As a matter of fact New Zealand does not have a legislation protecting caves by now. In 1980 a scientific research program monitoring the cave climate started and a scientific advisory committee was founded. As a result the cave is very good monitored concerning humidity, temperature and CO2 content in the air. The air climate is controlled by opening and closing the airtight entrance door of the dry upper entrance in dependency on hourly measures of climatic parameters inside and outside the cave. A rule was installed to keep CO2 content below 2,400ppm, if it reaches this border the cave is closed completely. Actually the CO2 rises in times of high visitation during the warm summer season in February. So if you are not from abroad, we suggest to visit at other times of the year. The entrance to the cave is 500 meters beyond the Museum of Caves. The cave is easily accessible to those with reasonable mobility, with good handrails and paths. 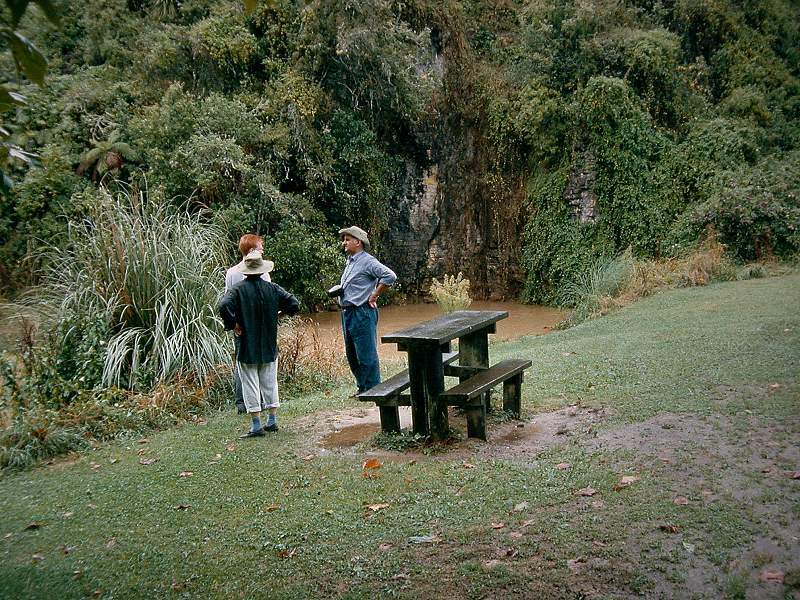 The boat ride at the end of the tour ends outside the cave at the spring of the cave river. Independent travellers should try to avoid visiting during the middle of the day when the cave is very busy with tour groups. The Visitor Centre of the caves was destroyed in a fire in 2005, right after the exhibition had been updated. The construction of the new Waitomo Glowworm Caves Visitor Centre took five years, the new centre was inaugurated on 22-OCT-2010. It took some time, but there was a lot of planning involved, and the result is spectacular. The building was designed after the minimal environmental intervention principle, the building follows the contours of the land and the curve of the Waitomo stream. A grid shell structure built of New Zealand Radiata pine is covered with transparent cladding. Right before the inauguration the building has already won awards, Commercial Architectural Excellence, Commercial Engineering Excellence, and the Clever Wood Solution Award on the NZ Wood Timber Design Awards 2010. Search Google for "Waitomo Glowworm Caves"
Waitomo Glowworm Caves, official website.